I LOVE the cover for Ruth Silver’s new young adult release Orenda. Isn’t it gorgeous? Dreamy and intriguing and curious and curiouser. 🙂 It caught my attention and then the synopsis with it’s sword wielding girl and parallel universe kept it. 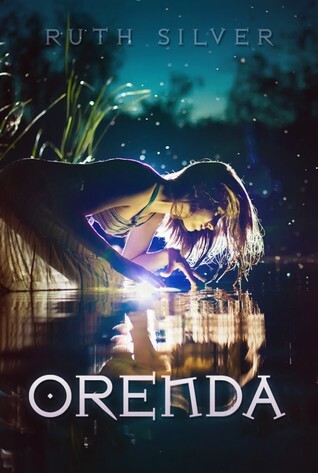 Orenda is towards the top of my TBR pile cause I love a good fantasy adventure. Check it out! Dark forces, magical creatures, and the world Lil thought she knew collide when a dream transports her to the strange world of Orenda. Stunned and terrified, Lil comes face to face with her doppelganger, Willow, who possesses the ability to travel between the two worlds. Everything Lil knows logically says that Orenda can’t exist, but a small clue may be proof that it was more than an ordinary dream. With the threat of her younger sister in danger, Lil crosses dimensions but it may cost her even more than she bargained for. Ruth Silver is the best-selling author of ABERRANT, a young adult dystopian adventure series published by Patchwork Press and Lazy Day Publishing, in 2013. Silver attended Northern Illinois University and graduated with a Bachelor’s in Communication in the spring of 2005. While in college, she spent much of her free time writing with friends she met online and penning her first novel, Deuces are Wild, which she self-published in 2004. Her favorite class was Creative Writing senior year where she often handed in assignments longer than the professor required, because she loved to write and always wanted to finish her stories. Her love of writing led her on an adventure in 2007 to Melbourne, Australia. Silver enjoys reading, photography, traveling and most of all writing. She loves dystopian and fantasy young adult stories. Ruth has been actively writing since she was a teenager. Upcoming works include Royal Reaper, a young adult series about grim reapers, due for release June 3rd, 2014. She currently resides in Plainfield, Illinois. Previous PostPrevious The Book Tart Episode 62 ~ Review of PJ Schynder’s Survive Till Dawn + Contest! Next PostNext Entangled’s Ignite Book Birthday Blast + Contests!